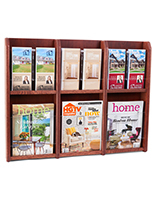 This Magazine Rack Features Four Pockets For Displaying Literature! 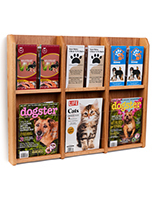 Display Can Also Be Converted Into An 8 Pocket Holder! 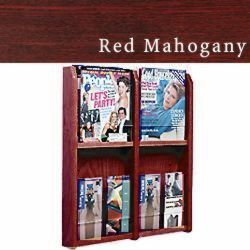 This magazine rack comes with a handsome red mahogany stained finish. 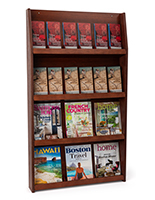 Wall mounted with four pockets, the display features an clear acrylic stop in front of each pocket. 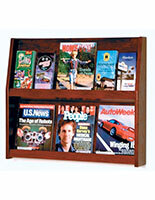 Removable dividers allow for customization.